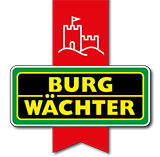 The BURG-WÄCHTER safety cabinets out of the Combi-Line series not only guarantee ideal security for burglary but also are tested and certified in fire protection. 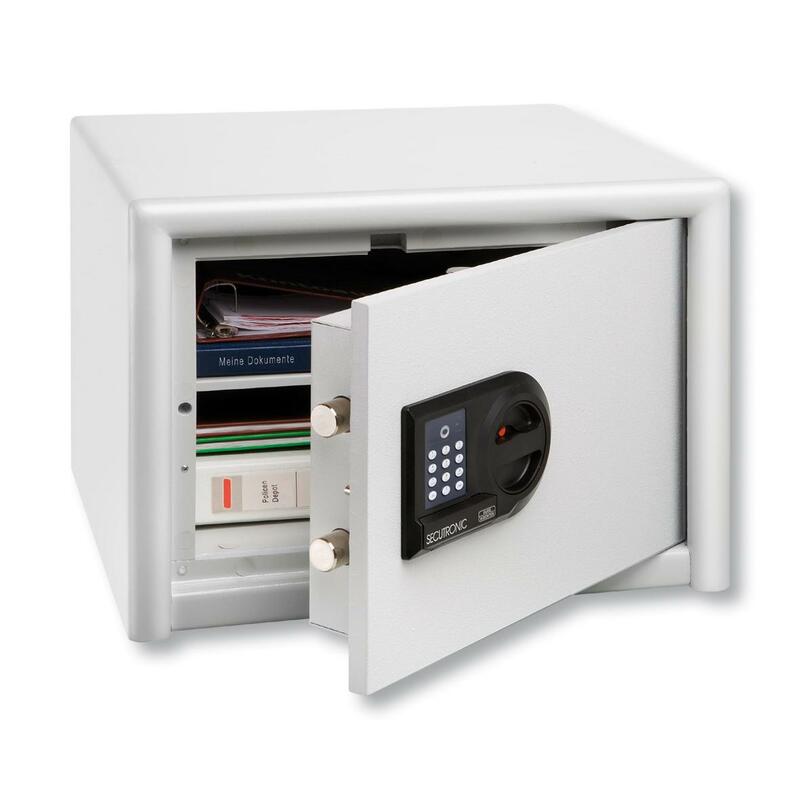 A Combi-Line safe is convenient for the private household to keep valuables safe from burglary and fire. Combi-Line safes offer certified fire protection in all sizes and variants (fire resistance LFS 30 P according to EN 15659). A composite insulation in front of the door leaf functions as a heat protection for lock and bolts so that the valuables inside stay protected against fire damage. In case of a fire, a 30-minute fire protection for paper guaranteed. A sturdy construction and the double-walled body prevents attempts of a quick breaking of the safe. The safe lock shuts with the help of lateral, 25 mm strong round bolts and one massive sliding bolt positioned on the top of the door. The inlying hinges additionally hamper a forcible opening. Standardly, the safe is equipped with one shelf to keep and organise your valuables in a best and most tidy way. From the different formats, you can choose the most suitable safety cabinet for your individual needs. Of course, you do not need to make compromises when it comes to design. The quiet grey body and the light grey door are classic and fits in your home as well. 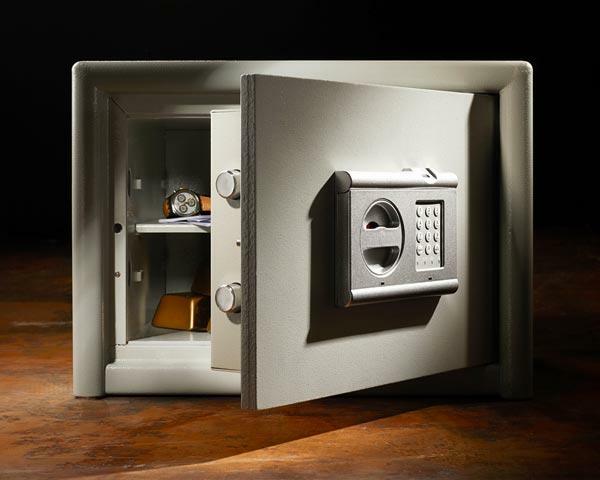 To prevent a stealing of the safe along with all your valuables, BURG-WÄCHTER minded to include a strong anchoring possibility: On the back as well as on the bottom you can find two diagonally arranged drills each. Now and with the help of the enclosed fixing material, you can link your Combi-Line effortlessly with the wall or the floor. 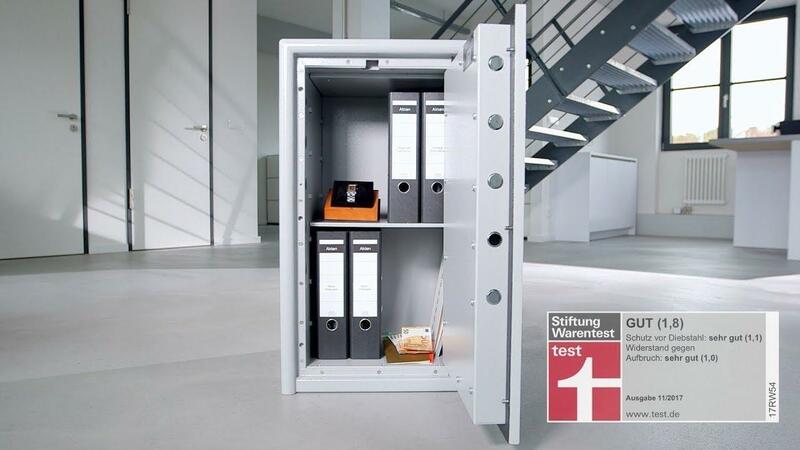 The safety cabinet Combi-Line (security level B) with the electronic combination lock provides a commercial insurance coverage up to 2.500 € and insures privately up to 20.000 €. Note that due to differing insurance conditions, an agreement with your insurer is necessary. The electronic combination lock “SecuTronic” offers one million different combinations. 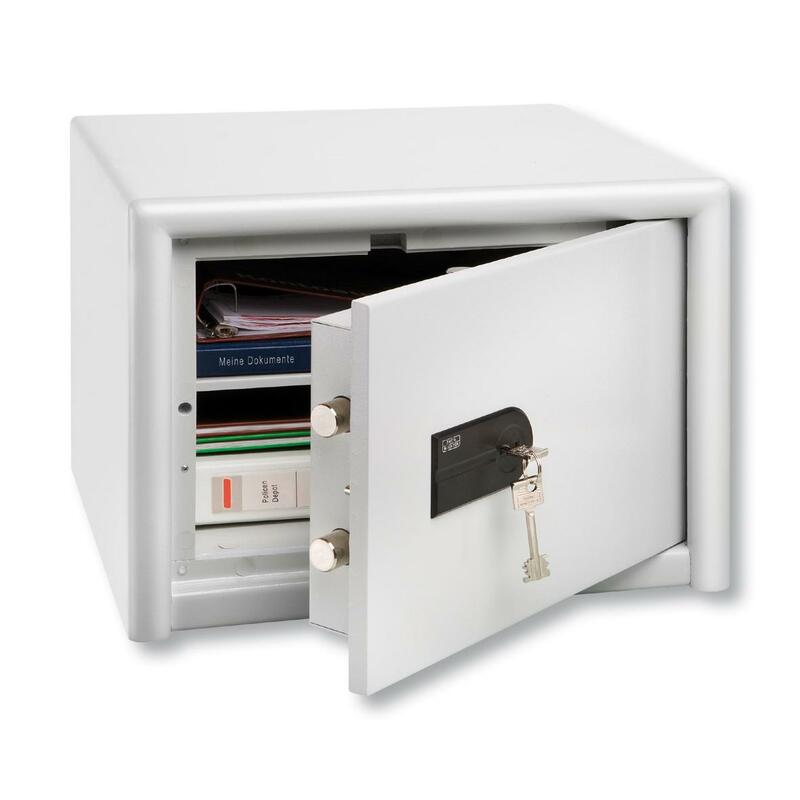 The lock of the safety cabinet is ECB•S- certified (EN 1300/class B) and VdS-tested (class 2). 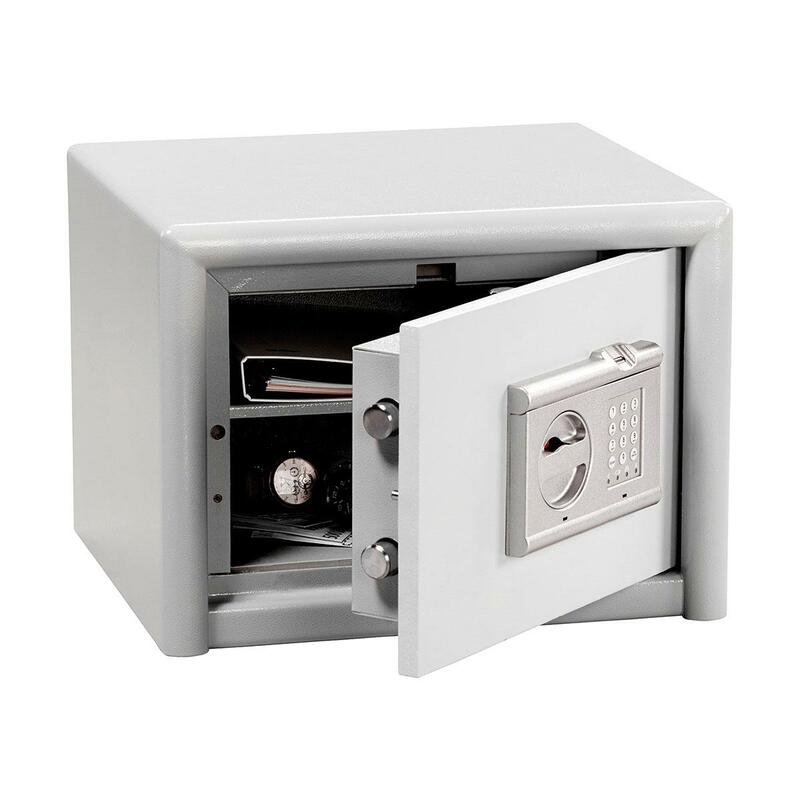 With your personal 6-digit code, you can open and lock the safe very conveniently. Provided are three Batteries (type Micro LR 03 AA), so that you can put your safety cabinet into operation immediately. Please note that the locking armature protrudes 7 mm.